I'm not a big fan of exploiting the game for high end rewards but I know alot of you are, especially those of you with limited time to play the game. This guide is designed to help you exploit the Incursion activity to gain 240 Gear Sets on every run through and also to severely reduce the difficulty. As you may know there are currently four Gear Sets in the game called: Striker's Battlegear, Tactician's Authority, Sentry's Call and Path of the Nomad. 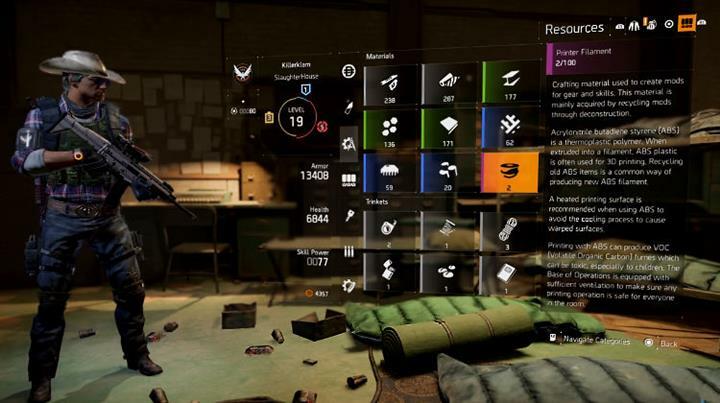 Every piece of gear you collect after level 30 will have a Gear Score associated with it. Currently the Challenge version of the Falcon Lost Incursion offers the following rewards: 240 gear set item and 40 phoenix credits once per week and a 214 gear set item for every playthrough thereafter. Using the exploit detailed here you can trick the game into giving you the 240 Gear Score item every time and also reduce the difficulty of the Incursion so it's practically non-existent. Players should note that this is an exploit and hence it will certainly be patched at some point in the future. However, as it stands this is the best way to earn consistent Gear Set drops, roughly in a 20-30 min window. The method is designed for both solo (but with lesser rewards) and group based run throughs. 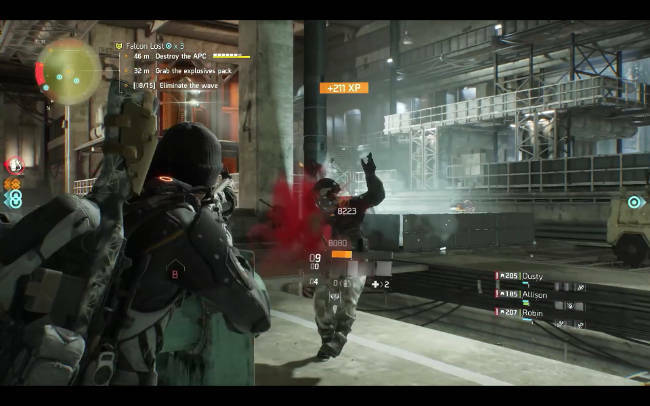 You must also have unlocked the Incursion activity by reaching Level 30 previously. It works across all platforms: PC, Xbox and PS4. The main difference between the four is the way you exit the game but it is possible on all systems. One gear set item with a gear score of 240. One gear set item with a gear score of 214. Each player must have a high electronics stat e.g. at least 36,000 electronics before attempting this method. 1. Start the mission as normal but instead of engaging the NPC's in the tunnel, run past them. Don't worry as long as one person makes it through to the arena, the rest of the team will respawn in the room with you. 2. After climbing up the rope you will be at the entrance to the arena with a set of double doors in front of you. Open the doors so that your dead teamates are revived but then STOP so you don't trigger the spawn of mobs and the APC inside. You must be careful not to cause the APC to blow up the walls otherwise the exploit fails at this point. 3. Instead of following the usual route, every team member must glitch through the walls instead. The way to do this is to push up against a wall, couch or spam up close and then deploy mobile cover in front of you. This should force your character to push through the walls boundary, allowing you to pass through like a ghost. 4. Once you're through the walls and into the arena you will discover that it's completely different to before. None of the mobs will shoot you and even the APC leaves you alone as well. This buys you a hell of alot of time but of course there is no bomb to use without the Wave's of NPC's. 5. 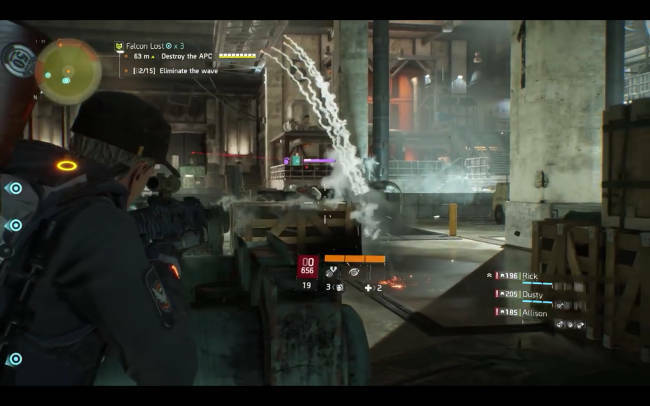 To get round this and still complete the Incursion you must run to the end of the arena and target the APC with sticky bombs. This is why the electronics stat is so important to help your cooldowns Repeatedly hit the APC with bombs - this will consume most of the 20 minute time frame I mentioned above. 6. Now the most IMPORTANT part - as soon as the APC is destroyed you will all get a Gear Set item with a Gear Score of 214. At this point, three members of the group must exit the game immediately (using Alt+F4 for PC or the quit/exit game menu option for consoles) and then rejoin immediately. For smaller groups or SOLO just keep one guy in the session. The one member who stays behind must not disconnect and should wait for the others to rejoin. 7. 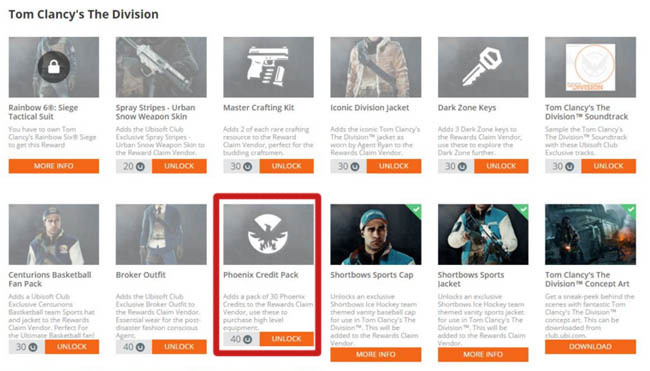 The members who rejoin will find that their backpacks now contain an item with Gear Score 240 along with 40 Phoenix Credits. Since the person who stays behind doesn't get the 240 item or Credits, make sure you take it in turns to be the one who stays behind to fairly share out the rewards on your subsequent play throughs. SOLO players - you will only get 214 items because you can't leave the session and rejoin. There you have it, a very simple and highly effective strategy to help you get the best Gear Score and Gear Sets in the game. Also perfect for finding a complete set of Gear for one of the collections and thus unlocking the high level Gear Set bonus.